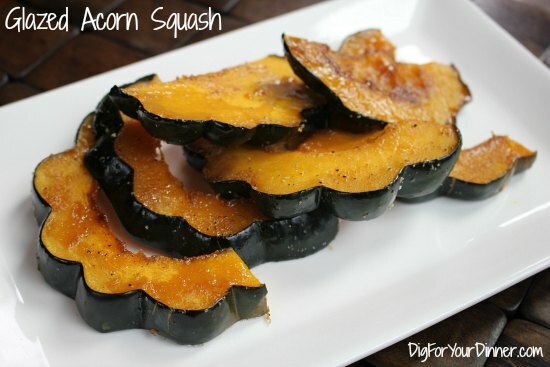 This is the perfect fall side dish, and the easiest way to cook acorn squash. Ever! And did I mention how yummy it is? The combination of brown sugar with the natural sugars of the squash caramelize and create a melt in your mouth goodness. Now who wants to go jump in a big pile of leaves with me? Line 2 baking sheets with foil or a silpat , and preheat oven to 400. 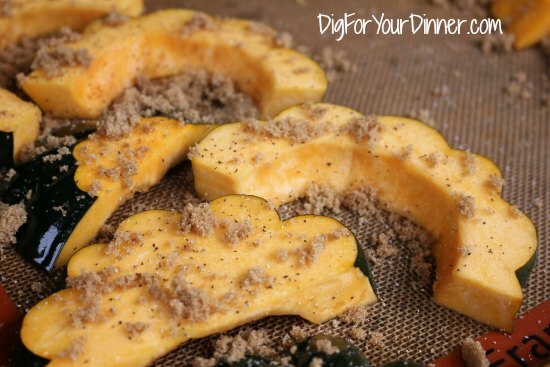 Mix the squash with olive oil to coat, then spread evenly on baking sheets. Sprinkle with half of the brown sugar, and salt and pepper. Roast until sugar has melted, about 5 minutes. Turn over each piece. Sprinkle remaining sugar evenly over the squash, and another dash of salt and pepper. Should be tender in about 20-25 minutes.